What characteristics of this sliding paper boxes? 1. 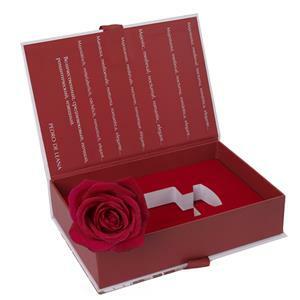 PVC window:To cut a window to show the products inside is a very fashion way when making a paper gift box.Especially for cosmetics packaging. 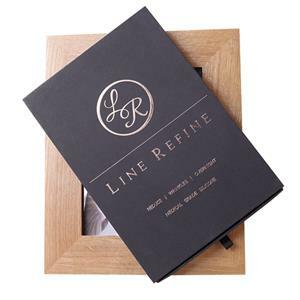 When a box with a PVC window or a food box with a PET window, consumers can see the real outlook of the products inside the gift boxes they are ready to buy and therefore, they believe that brand not because of advertise or beautiful outer packaging, but the sense of reality.So a window on the box sometimes plays a very important role for gift packaging design. 2. 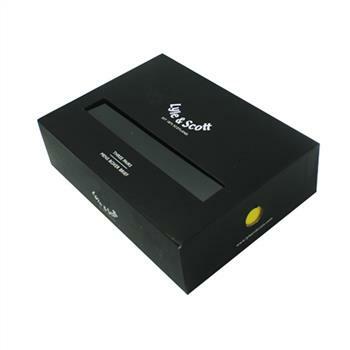 Finger button: For paper drawer box, in order to open the box more easily,there are normally two designs of such boxes. 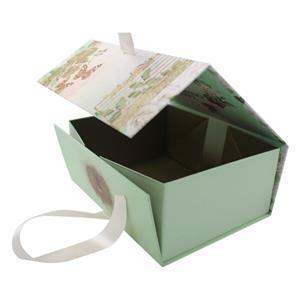 One design is sliding box with a ribbon or fabric pull,another is a sliding box with a finger button. The box is with the second design. 3. Color choose: the outer box with black printing with white text, the inside box with yellow printing. Because the two colors has big difference, so when they combined together,the whole box give people a feeling of brightness. What do you know about paper drawer boxes? 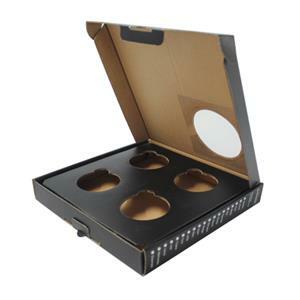 There are drawer type packaging boxes for many products. On the one hand, it can ensure the safety of products in the process of transportation and sales; on the other hand, the class of products can be seen from the drawer type packaging boxes. 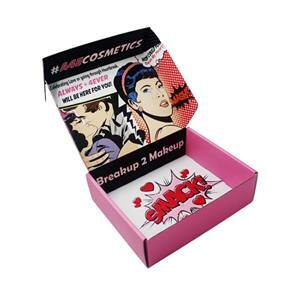 Especially in the increasingly competitive products, today's rich material conditions, choose a variety of circumstances, consumers will select exquisite packaging, flawless products to buy, so how to make a beautiful appearance, smooth draw-out type packing box, at the same time draw out the image vivid, image and printed on the box full of saturated feeling is the production of drawer box manufacturers goal. Currently used some drawer box, material most choose grey board, because the grey board is mainly composed of a regeneration of waste paper production, can be recycled, has certain protective effect to the environment, but there are certain shortcomings, this paper also is poor flatness and feel rough, generally on grey board stick a layer of coated paper, this paper is on the base paper coating a layer of white pulp, after calender and made of paper surface is smooth, high whiteness, small scale, the ink absorbency and receiving state is very good, It is mainly used for printing the cover and illustration of advanced books and periodicals, color pictures, various exquisite commodity advertisements, samples, commodity packaging, trademarks and so on. 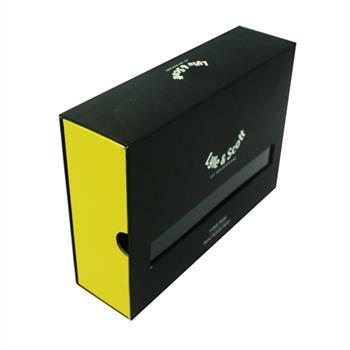 But now in the use of gray board paper as the bottom box, because the design of the carton is not reasonable, it will produce dark marks and surface image sag phenomenon.